Football 101 | Arsenal: Wenger is still upset about the penalty awarded to Hazard. Wenger is still upset about the penalty awarded to Hazard. During a week in which two of his contemporaries have not been able to let sleeping dogs lie, something else is gnawing at Arsene Wenger as well. The unfairness he feels was done by the penalty being awarded to Eden Hazard during the game in which Arsenal drew 2 - 2 with Chelsea last Wednesday has not yet passed, and, when the pair meet once again this evening in the semi-final first leg for the League Cup, any kind of repeat of what he named a farcical decision may well result in something like spontaneous combustion at Stamford Bridge! Wenger will be spending the match up in the stands, a continued legacy of his similar outrage to the West Bromwich Albion spot-kick on the 31st of December, but he is not yet willing to view what he viewed as a dive from Hazard at any kind of remove. Wenger first misunderstood a question relating to Antonio Conte’s claim that it was in his nature to question refs, and inadvertently ended up agreeing with the manager from Chelsea whilst once more airing his Hazard grievances. 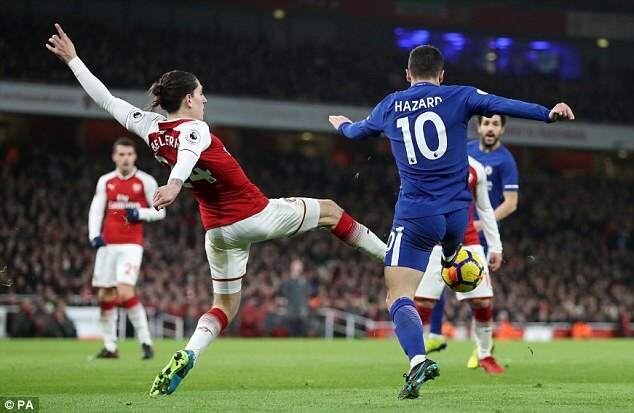 Wenger admitted to questioning the decision made by the referee, stating that one saw how Hazard went down and how quickly he took to the penalty when he got it. He was referencing the forward’s response to a challenge offered by Héctor Bellerín. As punters who took part in the game thanks to the betting NZ and the rest of the world makes available will no doubt agree, Wenger wonders about just how injured Hazard actually was. Wenger stated that, if Hazard was so injured, why was the penalty taken? He acknowledged that Hazard was not to blame however, stating that the player acted professionally, getting a penalty for his team. Is Wenger’s Energy Being Misdirected? Another view is that the penalty was clear, and, the overreaction by Hazard notwithstanding, Wenger is misdirecting his energy on a call that is nowhere near as shocking as the one that Mike Dean took at The Hawthorns. Yet it is the latter that cost Wenger his place in the dugout, and, as he bears witness to his squad battling to hold on to their only chance of a local trophy, the feelings of helplessness will no doubt be familiar ones. February 2018 saw Wenger undergo a four-match ban after he pushed Anthony Taylor, and this included a league defeat of 3 - 1 at Stamford Bridge. Wenger watched from inside a designated area in the East Stand, and recalls the situation from every perspective as being an extremely uncomfortable, awkward one. Wenger has stated that he will try to find a different place in terms of this evening’s seating plan, and it is safe to say that the same can be said of his squad, as well. Wenger was mightily upset by the lifeless surrender Arsenal made of the FA Cup at Nottingham Forest on Sunday, and said that he was incredibly let down by some of the players’ performances.